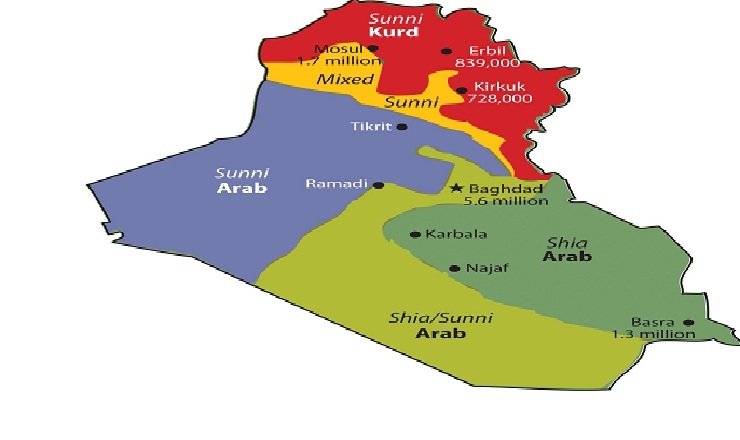 The Sunni population of Iraq makes up 20% of the county’s population. They governed Iraq for almost eighty years until they were ousted from power in 2003. Since then, the areas that Iraq's Sunni community resides have been continuously unstable and have witnessed conflict and violence. In 2014 much of the Sunni territory fell into the hands of the Islamic State. After 2003 some in the Sunni Community were distanced from the country’s political process, while other members of the community took part in it. However, those in Iraq’s Sunni community that took part in the political process were suppressed politically, especially in the period of Nuri al-Maliki premiership. One of the mechanisms often discussed to secure stability in Iraq is the splitting up of Iraq into three distinct regions, a Kurdish one, a Sunni Arab one, and a Shia Arab one. With the Mosul offensive and the subsequent liberation of the area from the Islamic State fast approaching, this mechanism for solving the issue of stability in Iraq is once again being discussed amongst scholars, politicians and the international community. Some believe that dividing up Iraq of is the only solution to the problems of the country, while others think that that the creation of an autonomous Sunni region in Iraq, especially post-Islamic State is incredibly tricky. This article will analyse the consequences of the establishment of a Sunni region of Iraq for the Kurdistan Regional Government.